Engel & Völkers Vancouver maintains a network of websites to increase the world wide exposure of its brand, locations and properties. Engel & Völkers' global website is offered in 15 languages and attracts over one million visitors per month. It is where property listings represented by Engel & Völkers Vancouver throughout its international shop network appear. Content cascades back and forth between the North America website, the shop website and advisor websites, all designed to maximise exposure while leveraging the brand's distinct look and feel. Engel & Völkers Vancouver offers extraordinary collaborative logo that strongly positions the expertise of its advisors with the brand's expansive reach and proven resources. This collaborative logo represents the merger of the advisor's talent and the brand's support, services and network that in today's market, buyers and sellers expect. Our digital marketing program helps deliver valuable news and information, such as homeowner tips, real estate news, local events and Engel & Völkers Vancouver shop updates, to build relationships and to maintain awareness of your service and expertise. the system has been pre-populated with brand formatted templates and offers a varity of brand campaigns and seasonal/holiday campaigns. Integrated with our GO! Connect lead management CRM platform via a data feed, our program allows for easy integration of listing data into formatted templates for sending out "New to Market", "Open House" and "Sold" emails. Leads that are generated through the Engel & Völkers' websites and campaigns are automatically managed through our E-lead Routuing system that notifies shops and advisors instantly. the system is flexible for users to maximize efficiency and respond to leads quickly without sacrificing quality of service. Premier listings are showcased locally and around the world with our exclusive property exposés. They combine visually strilking photography and compelling text to connect homes with the right buyers. each exposé is digitally produced on high-quality paper to best express the value of the property. Direct mail is a coplement to our email and digital marketing strategies. Engel & Völkers facecards, postcards and the ability to customize content on branded cards and mailers all through our Brand Central platform, allow advisors to reach new and existing clients while maintaining a consitent quality design. Our signs around the world declare a higher standard. They are recognized and trusted as a symbol of exclusive, highly valued real estate opportunies backed by a premium brand. Engel & Völkers yard and open house signs link our advisor's listings with the global prestige of our brand and give clients confidence that their properties are represented by the best. Taking every opportunity to leverage our reach among our network of advisors and potential buyers, select listings are showcased on Shop TV, our digital property gallery that is displayed in our locations throughout North America. For vitually all homebuyers, the search for listings begins online. Through our relashionships with the most visited real estate search sites, including Realtor.com, Zillow, Trulia, HGTV'S Frontdoor.com, and Yahoo Homes, Engel & Völkers Vancouver' listings receive preferential placement when possible and include our distinct branding and additional property details. We've also established relationships with James Edition, WSJ Online and more than 60 international property search partners throughout the world. A growing number of real estate related searches are happening on mobile devices which is why we've developped a component of our digital marketing strategy that includes smartphone and tablet users. Our mobile apps and mobile marketing tolls give us our presence in this digital segment. Engel & Völkers Vancouver places special attention on social media. We engage our firends and fans through our Facebook, Twitter, Pinterest, Instagram and Youtube sites to ensure that our brand, services and premier properties remain a topic of conversation. We also use social media to strenghthen our connections locally by reporting and sharing news and interests happening within our communities. Our ongoing activity allows advisors and shops to implement and manage their own social strategies. Technologies gives us the ability to connect to more people faster. yet, in real estate, it's still the first impressions and personal connections that mke the difference between leaders and followers. That's why we continue to invest in print marketing and opportunities in events such as the Cannes Film Festival and the Monaco Yacht Show, to perfectly match the high level in the quality of services we represent to the right audience. Engel & Völkers Vancouver has maintained special arrangements that allow our properties heightened exposure in local, national and international print publications such as The New York Times, The International New York Times (formely the The International Herald Tribune), Architectural Digest, and Condé Nast Traveler. Our listings appear in foreign publications abroad throughout our international network. 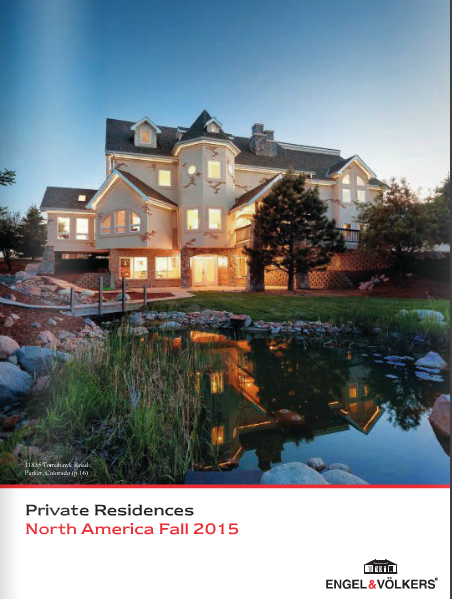 Published four-times-a-year, Private Residences North America showcases the premier properties represented by Engel & Völkers in the U.S., Canada and Mexico and offers listings both national and international exposure. Produced and distributed throughout the Engel & Völkers network, Private Residences is another way to reach potential buyers locally, nationally and abroad. Our dedicated coporate communications team in New York City and Hamburg, work to increase visibility of the Engel & Völkers brand nationally and internationally. Editorial placements in the most trusted news publications, online outlets and industry sources including the New York Times, The Wall Street Journal, The International New York Times, The Financial Times and RISMedia's Real Estate Magazine brings us both awareness and credibility to our services and brand in international, national and local markets. 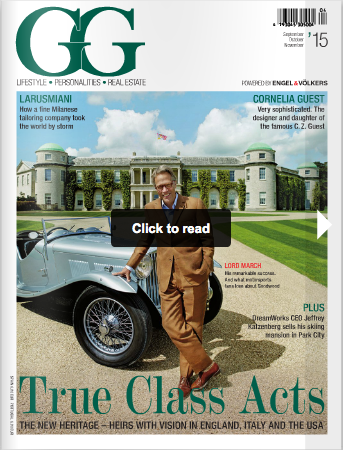 Printed seasonally and in six languages, GG, explores culture, art, design and architecture, and profiles innovators, artists and celebrities as well as the homes in which they live. It is the high-end publication in which we showcase the properties we represent. GG, is delivered directly to Engel & Völkers Vancouver top clients, distributed throughout our international network and made available on newsstands throughout Europe.